The Croatian Presidency of the Council of Europe, the Central European Initiative and the Enlarged Partial Agreement on Cultural Routes of the Council of Europe, in cooperation with the Croatian Ministry of Tourism, were the organizers of an International Olive Tree Workshop on " Cultural Routes Olive Streets as a model for Europe's values, heritage and sustainable development ", which took place on 14-16 November 2018 on the beautiful island of Mali Losinj, Croatia. 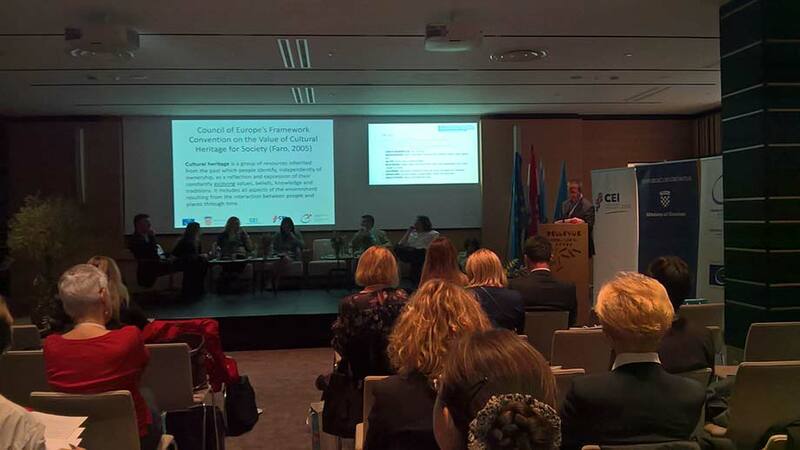 The seminar was an opportunity to explore issues representative of European history and to discuss innovative approaches to promote European cultural heritage, sustainable tourism and local development, such as the Olive Routes, a route certified since 2005 as "Cultural Route of the Council of Europe ". The participants in this Seminar were senior officials from the Croatian Ministries of Culture, Tourism and European and Foreign Affairs, the Council of Europe and many other cultural and touristic actors from many European and Adriatic countries. The meeting was organized in the framework of the EU Strategy for the Adriatic and Ionian Regions (EUSAIR), a strategy adopted by the European Commission and endorsed by the Council of Europe in 2014 and concerns Adriatic-Ionian region cooperation, which agreed to cooperate in areas of common interest for the benefit of each country and the whole region. The Adriatic and Ionian regions have chosen to strengthen and expand the Olive Routes as part of the Routes4U program, a program of the Council of Europe and the European Commission aimed at enhancing regional development through cultural routes.